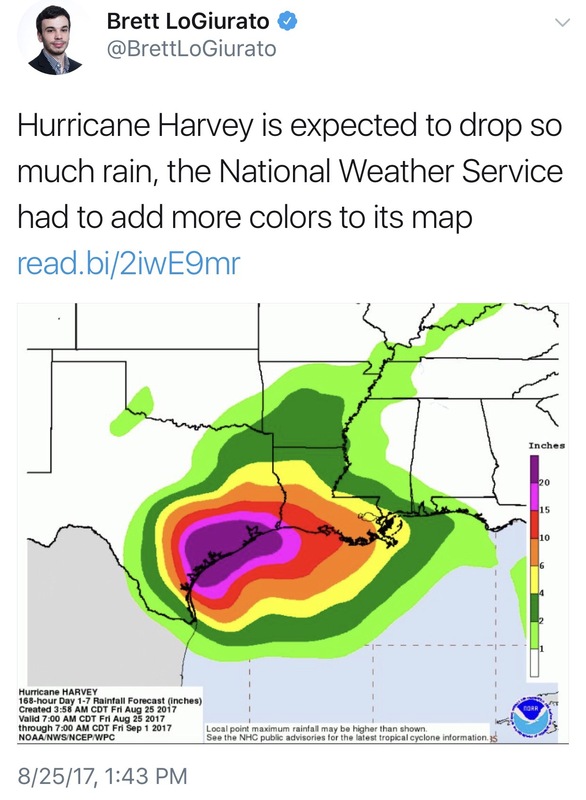 Hurricane Harvey Forecasted to be Catastrophic. 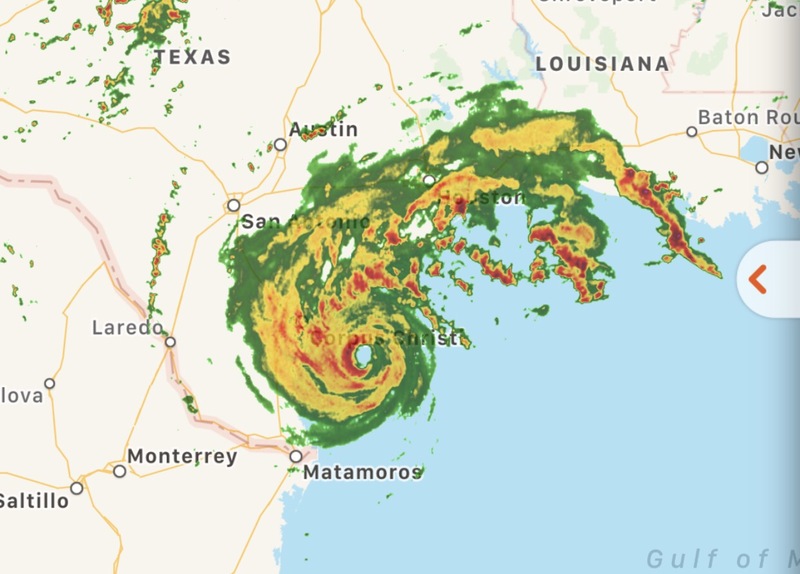 The state of Texas has put evacuation orders underway and issued Tornado Warnings as the outer bands of the now Category 3 storm are moving in. Hurricane Harvey has intensified to a Category 3 storm. 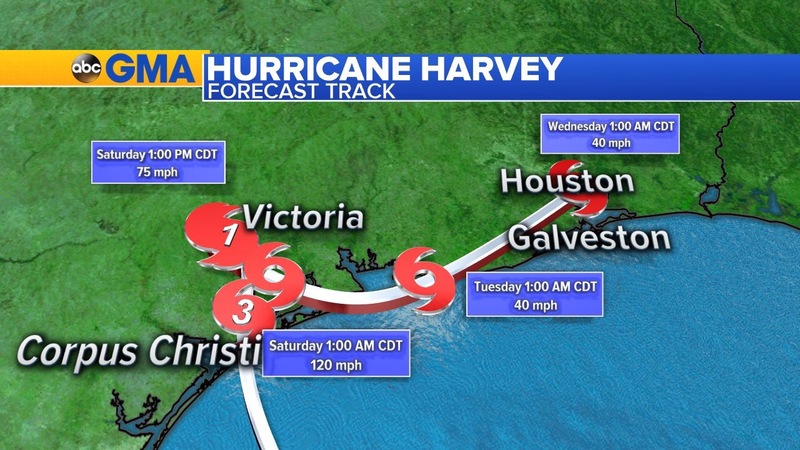 It is expected to continuing gaining momentum and grow and wreak havoc as it makes landfall in Texas. It is reported that some areas could expect up to 30 inches of rain creating catastrophic conditions. The biggest threat is to the coastal areas. A large portion of Southeast Texas and a majority of Louisiana will experience the wrath of Harvey. Heavy rain from the outer bands will last through the weekend. This storm will keep a slow moving track which will create long periods of flooding from heavy rain and storm surge. Hurricane Harvey is said to be the largest storm to hit the United States in over a decade. 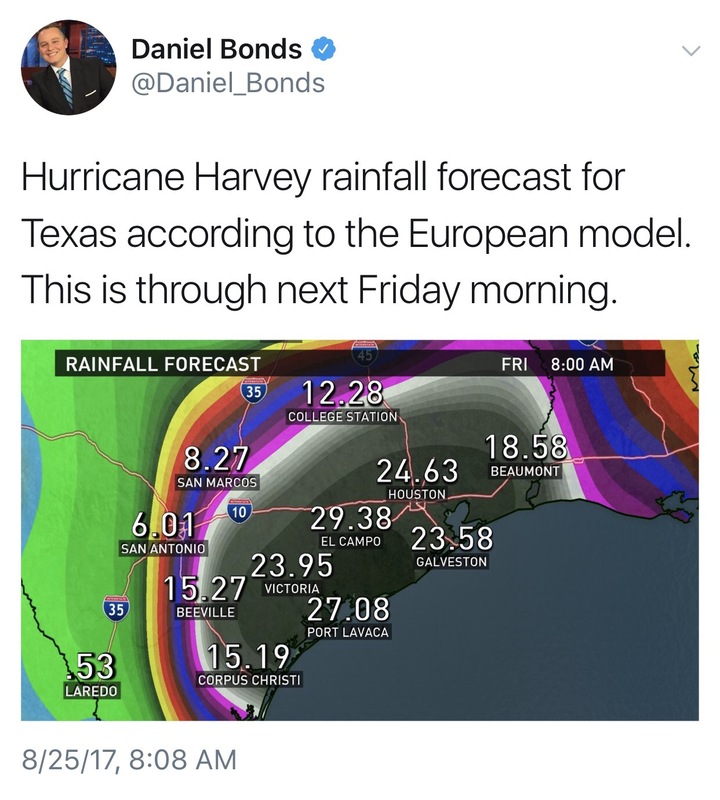 One model even shows Harvey following a path called “The European.” If this were to happen the storm would impact Texas. After making landfall Harvey would then go back out in to the Gulf of Mexico, strengthen again and then go for a second hit. Making a second landfall. 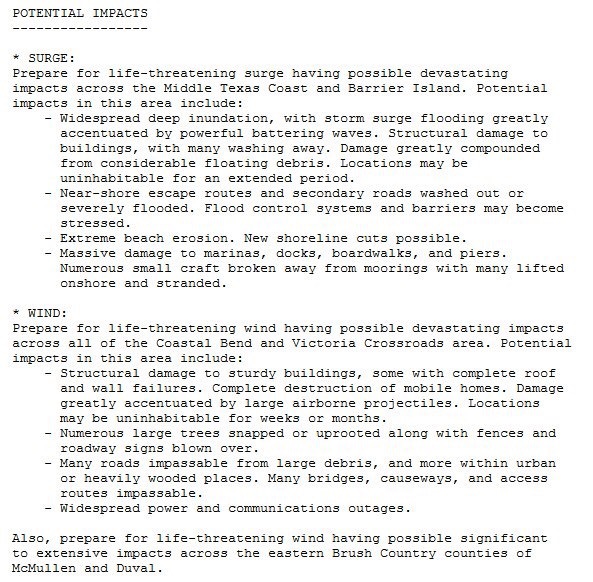 While as of now it is forecasted to make landfall near Corpus Christi late Friday into Saturday with rain continuing into next week, we know these storms can be very unpredictable and change in an instant. Stay tuned to your local weather station for continuing coverage and also follow here at Caleb Graham TV.